Need a Car Inspection in Yonkers NY? We are a Fully Licensed NYS Car Inspection and Safety Emissions facility. Every car registered in New York State is required to be inspected within NYS. If you get your car inspection in Yonkers NY it will be valid nationwide. If your car is not inspected, or if your inspection expires you risk fines and penalties. Automotive Inspections are mandatory, but they do not have to be a hassle. Inspections are quick and should take no longer than 20 minutes. Do not wait till the last minute. Let our auto repair mechanics get you back on the road safely and quickly.Come in or call ahead for an appointment. We will make your inspection go by quickly. Do I need to get my vehicle inspected in New York State? At a DMV-licensed inspection station. Licensed stations display a yellow and black sign that reads, ‘Official Inspection Station.’ Motorcycle inspection stations display a blue and orange sign. What are the fees for the inspection? Inspection fees can be found on the Inspection Groups and Fee Chart (VS-77). 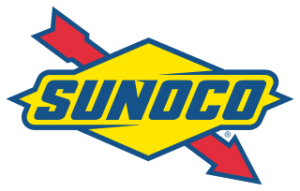 If I get my car inspection in Yonkers NY what is checked during the vehicle inspection? The DMV brochure, New York State Vehicle Safety/Emissions Inspection Program for Cars and Light Trucks (C-50) lists the equipment items checked during a safety inspection, and a description of the safety inspection. I bought my vehicle from a dealer. Does the dealer do the inspection? Yes. The dealer must have the vehicle inspected within 30 days of the date of sale and prior to delivery. However, once the first year is up you may visit us for a car inspection in Yonkers NY which will be valid throughout New York State. I bought my vehicle from a private seller (not a dealer). How much time do I have to get my vehicle inspected? 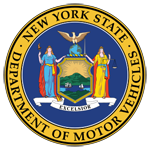 If you buy or get a vehicle from someone other than a dealer registered with the NYS DMV, you will receive an inspection extension that will last 10 days from the date of the registration. I will become a resident of New York State and will register my vehicle here. Do I need to get a New York State inspection as soon as I register? No. Your out-of-state inspection remains valid until it expires, or for one year after the vehicle is registered in New York, whichever comes first. When your out-of-state inspection expires, you must get the vehicle inspected here.